Sept. 19, 2017, 12:37 p.m.
Sir Tim Berners-Lee is a British computer scientist who invented what is undoubtedly one of the most revolutionary inventions of the 20th century—the World Wide Web (WWW). A qualified software engineer who was working at CERN when he came up with the idea of a global network system, Sir Tim is also credited for creating the world’s first web browser and editor. He founded the World Wide Web Foundation and directs the World Wide Web Consortium (W3C). Both of his parents worked on the Ferranti Mark I, the first commercial computer, and thus it is not surprising that he too chose the field of computers. But what is surprising is the phenomenal impact his idea of a global network has had on the world of information and technology. 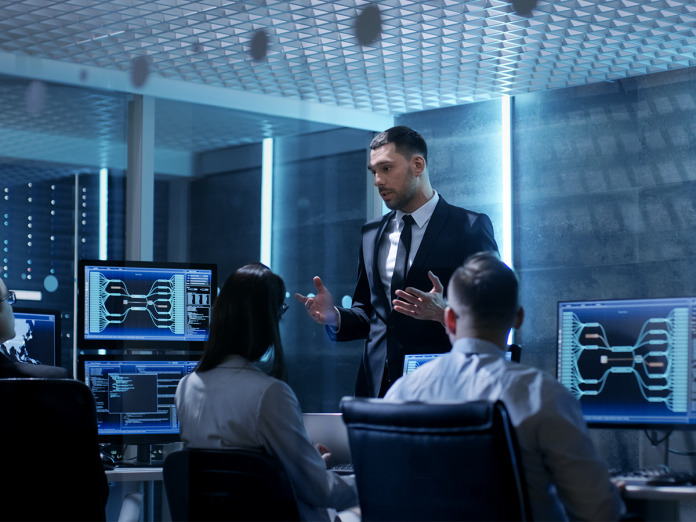 An alumnus of the University of Oxford, he realized the need for a global communication network while working at CERN as the researchers from all over the world needed to share their data with each other. By the late 1980s he had drawn up a proposal for creating a global hypertext document system using the internet. A few more years of pioneering work in the field led to the birth of the World Wide Web making Berners-Lee one of the most significant inventors of the modern era. He was born on June 8, 1955, as Timothy Berners-Lee to Mary Lee Woods and Conway Berners-Lee. He has three siblings. Both his parents worked on the first commercially-built computer, the Ferranti Mark I and thus Tim was fascinated by computers from a young age. He received his primary education from Sheen Mount Primary School before moving on to London's independent Emanuel School where he studied from 1969 to 1973. He enrolled at The Queen’s College of the University of Oxford in 1973 and graduated in 1976 with a first-class degree in physics. He was appointed as an engineer at the telecommunications company, Plessey in Poole after completing his studies. He remained there for two years, working on distributed transaction systems, message relays, and bar code technology. He left Plessey in 1978 and joined D. G. Nash Ltd. In this job he wrote typesetting software for intelligent printers and a multitasking operating system. 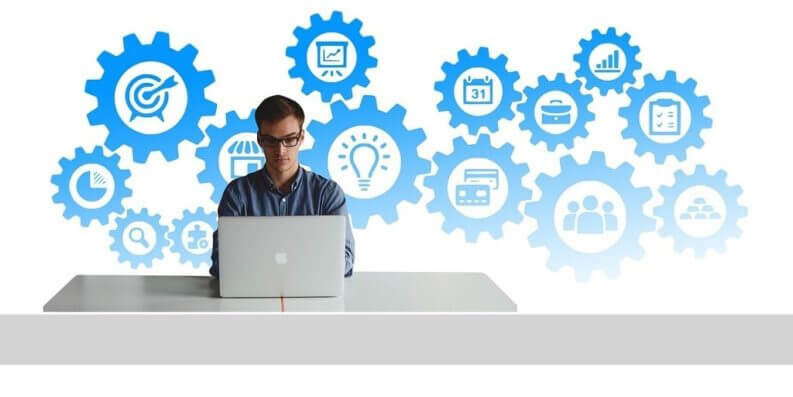 In the late 1970s he began working as an independent consultant and worked for many companies, including CERN where he worked from June to December 1980 as a consultant software engineer. While at CERN he wrote a program called “Enquire” for his own personal use. It was a simple hypertext program which laid the conceptual foundation for the development of the World Wide Web in future. He started working at John Poole’s Image Computer Systems, Ltd. in 1981. 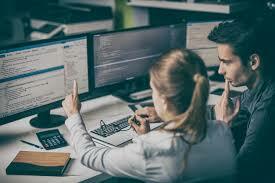 For the next three years he worked on the company’s technical side which enabled him to gain experience in computer networking. His work included real time control firmware, graphics and communications software, and a generic macro language. He returned to CERN in 1984 after receiving a fellowship there. During the 1980s thousands of people were working at CERN and they needed to share information and data with each other. Much of the work was done by email and the scientists had to keep track of different things simultaneously. Tim realized that a simpler and more efficient method of data sharing had to be devised. In 1989, he wrote a proposal for a more effective communication system within the organization which eventually led to the conceptualization of the World Wide Web—an information sharing system that could be implemented throughout the world. The world’s first ever website, Info.cern.ch, was built at CERN and put online on 6th August 1991, ushering in a new era in the field of communication and technology. The site provided information of what the World Wide Web was and how it could be used for information sharing. 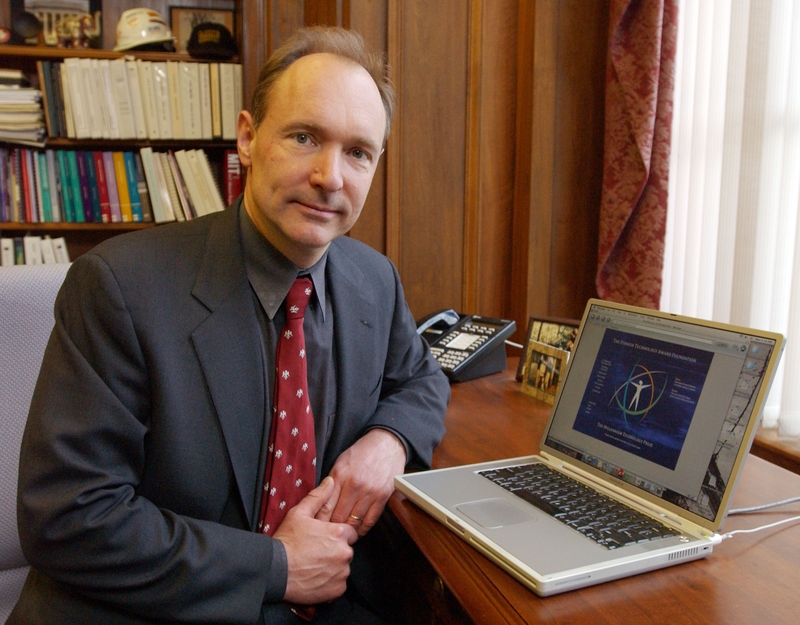 He established the World Wide Web Consortium (W3C) at the Massachusetts Institute of Technology’s Laboratory for Computer Science in 1994. The W3C decided that its technologies should be royalty-free so that anyone could adopt them. He became a professor in the Computer Science Department at the University of Southampton, UK, in December 2004. There he worked on the Semantic Web. In 2006, he became the Co-Director of the Web Science Trust which was launched to analyze the World Wide Web and devise solutions to optimize its usage and design. 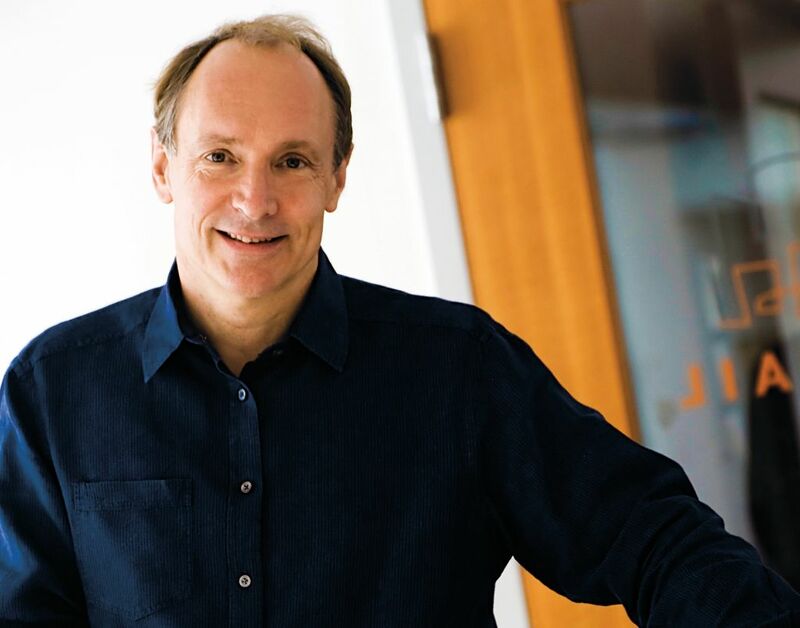 He also serves as the Director of the World Wide Web Foundation, started in 2009. 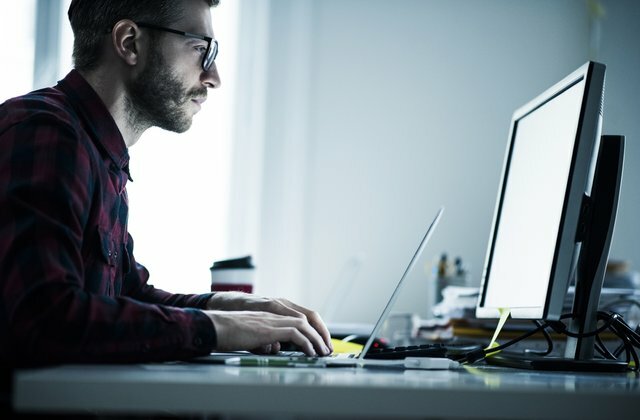 Along with Professor Nigel Shadbolt, he is one of the key figures behind data.gov.uk, a UK Government project to make non-personal UK government data more accessible to the public. His invention, the World Wide Web, is counted among the most significant inventions of the 20th century. 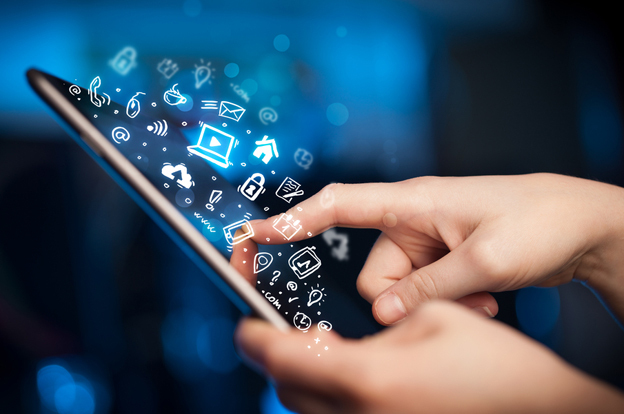 The web revolutionized the world of information and technology and has opened up several new avenues. He was presented with The Software System Award from the Association for Computing Machinery (ACM) in 1995. He was named as one of the 100 Most Important People of the 20th century by the Time Magazine in 1999. He was made the Commander of the Order of the British Empire (KBE) in the New Year Honours "for services to the global development of the Internet" in 2004. In 2013, he became one of five Internet and Web pioneers awarded the inaugural Queen Elizabeth Prize for Engineering. He met Jane while studying physics at Oxford and married her soon after graduation in 1976. This marriage, however, ended in a divorce. While working for CERN he became acquainted with Nancy, an American software engineer. They so fell in love and tied the knot in 1990. This marriage too ended after some years. Currently he is married to Rosemary Leith who he wed in June 2014.
Who is a British computer scientist who invented the World Wide Web ?